Casa Rossa has selected for you some destinations and tours you can easily reach and enjoy. Montebelluna and Montello: small town of Montebelluna is the centre of sportswear district and it is one of the municipalities of the Montello. Montello is a hill loved by bikers and riders. Enjoy the woods and fields or go back in time to World War I and learn more about harsh battles fought in this area. 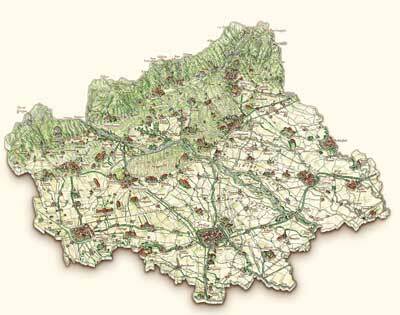 Nature and Prosecco Wine: you cannot miss the Prosecco DOCG district, with its wineyards and tastings. Learn more on www.prosecco.it. Treviso: small town with calm and peaceful atmosphere. You will be fashinated by balconied houses, flowers, narrow streets and colonnades crossed by picturesque canals.